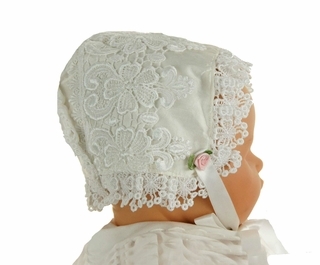 Grammie's attic has the largest selection of baby bonnets, christening bonnets, and baby hats you'll find, including heirloom baby bonnets and vintage baby bonnets from the late 1800s through the 1960s in delicate embroidered lawns and batistes, intricate silk and cotton crochets, and sweet eyelet and lace styles. 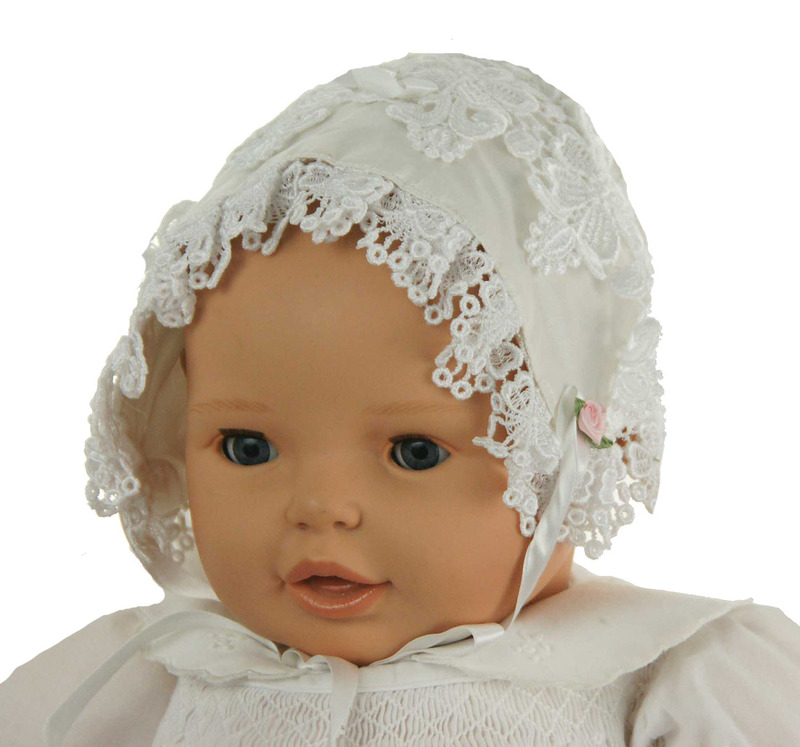 You'll also find new baby sailor berets, baby sun bonnets, smocked bonnets for babies, and beautiful christening bonnets and christening hats. Be sure to see all of our beautiful baby bonnets.